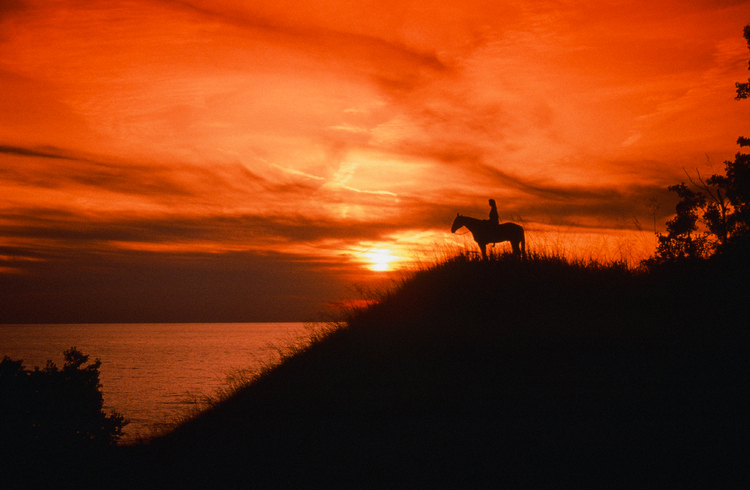 I captured the moment this horse and rider were enjoying the view of a sunset over Lake Michigan. Love this. All your photos are really fine. So peaceful and beautiful. I’m pretending its me. That’s a beautifully composed photo. Wonderful composition and color. I enjoy sunset and sunrise pictures and yours are some of the best. In central NC our best sunset pictures are in the October-March period. In the Summer for some reason even if we have clouds near the horizon at sunset, the are of a dull grey blue color and if they are near the horizon, the reds and yellows do not appear-just dull grey. I wish I knew what kind of clouds and whether this is unique to the seasons in our area.